David Cameron and Gordon Brown are to spearhead a final 10-day scramble to save the United Kingdom, following a poll suggesting that Scotland is on the brink of voting to break up Britain. Over the weekend the Prime Minister held crisis talks with the Queen at Balmoral after the YouGov poll put Alex Salmond’s campaign for independence was in the lead for the first time. Later this week, Mr Cameron will give details for the transfer of more powers to the Scottish Government if it remains in the UK in an attempt to stem the growing support for independence. Meanwhile, his Labour predecessor announced a six-day tour in an attempt to convince undecided voters that voting “No” is a “patriotic” act. It will include a speech with Ed Miliband — the first time Mr Brown and Mr Miliband have shared a platform since Labour’s election defeat in 2010. 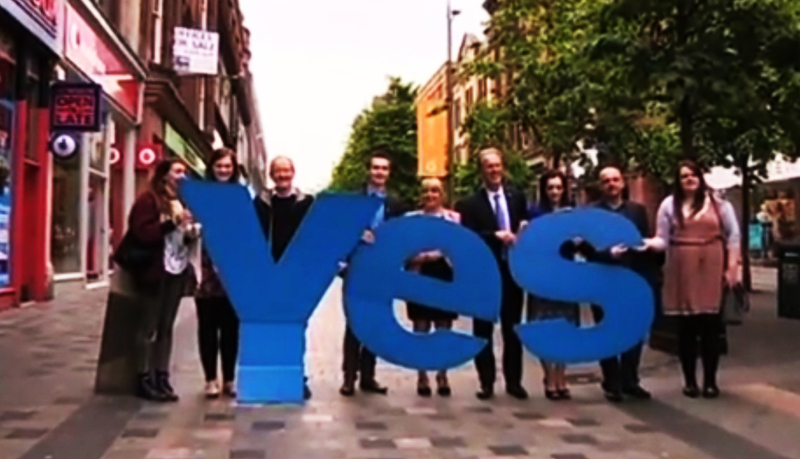 The YouGov poll put the “Yes” campaign on 51 per cent, with the campaign to maintain the Union on 49 per cent. It forced the Unionists, who had a 22-point lead a month ago, to announce 10 days of frantic action. The NHS looks likely to become a key battleground in the run-up to the vote as the poll showed that Labour voters, as well as young people and women, are turning to the SNP. The Queen is said to be “horrified” at the prospect of Scotland separating, which could lead to a constitutional crisis and uncertainty over her position as head of state north of the Border. It is thought the Prime Minister assured her that the Government was doing everything in its power. Mr Cameron will face calls to resign if he oversees the dissolution of the 308-year-old Union. Writing in The Telegraph, Boris Johnson says Scottish independence would be “an utter catastrophe for this country” and that he hopes “we will wake from this sleepwalk to tragedy”. George Osborne, the Chancellor, told BBC One’s The Andrew Marr Show that the final touches were being put to “much greater” fiscal autonomy and tax-raising abilities for Holyrood. However, officials were forced to clarify that no new devolved powers would be announced. The Government will simply announce a new timetable for a cross-party convention to devolve powers to Scotland “swiftly” after the general election next year. Senior Conservatives questioned why the announcement was being made after hundreds of thousands people have already cast their postal votes. Mr Osborne said it was “clear” that Scotland wanted more autonomy and that the Tories, Labour and the Liberal Democrats had agreed to deliver new powers on tax and welfare. Mr Salmond said that Mr Osborne’s comments were a sign that the campaign to save the UK was “spiralling into self-destruction”. It was last night claimed that the SNP’s private polling puts them even further ahead on 54 per cent to 46 per cent. Senior sources in Better Together have dismissed the polls and said that although they believe the race is close, they are still narrowly ahead. There were also warnings from financial experts that the value of the pound could plummet in response to the poll. At a campaign stop, Mr Brown will warn that Scotland would be “entering an economic minefield under the SNP’s economic plans for separation”. He will also say that Mr Salmond’s threat to default on Scotland’s share of the national debt “will explode in their faces”.